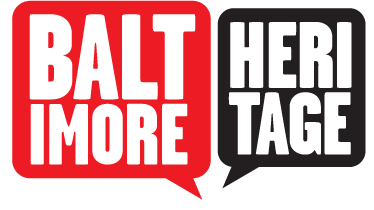 Since 1857, Lafayette Square has been Baltimore’s height of fashion. Situated atop a ridge in an area once noted for its fine country villas and breadth-taking panoramic views of the waterways, rolling hills and public landmarks of the bustling nineteenth-century city, the Square was a favorite outlying destination of Baltimore’s leisure and laboring classes. 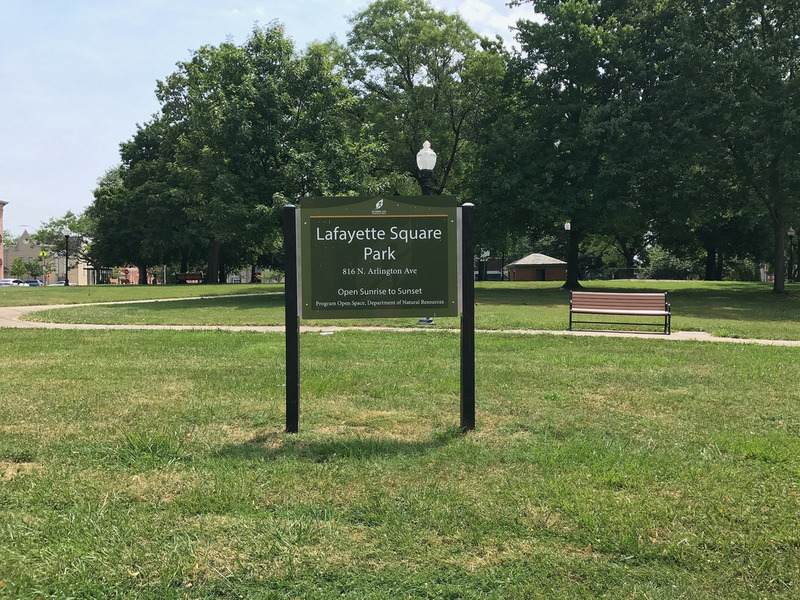 The popularity of the site, fueled by a desire to enjoy the area’s fresh air and fine vistas on a permanent basis, led to the creation of the Lafayette Square Company for promoting the Square as a fashionable place to live. The drive to develop the area around the Square for residential use came to a halt soon after it had begun, however, for in 1861 the City turned the Square over to the federal government for military use during the Civil War. After the war and minus the green fields and majestic oaks—its main attractions prior to 1861—Lafayette Square reverted back to the city and development efforts resumed. Construction proceeded rapidly under the direction of the Lafayette Square Association (a second organization, incorporated in 1865), which, in 1866, enticed the congregation of the Episcopal Church of the Ascension to relocate from downtown to the Square with an offer of a free corner lot. By 1880, Lafayette Square had been developed to a great extent and ornamented with many buildings of grand proportions. The Church of the Ascension (1867-9, now St. James), many imposing residences, including Matthew Bacon Sellers’ impressive brick mansion (1868-9), Grace Methodist Church (1871-6, now Metropolitain), and, perhaps most conspicuous of all, the new State Normal School (1875-6, demolished), set the scale for subsequent building projects in the neighborhood. Although designed in keeping with the Square’s other Gothic revival buildings, the former Bishop Cummins Memorial (1878, now Emmanuel Christian Community) and Lafayette Square Presbyterian (1878-9, now St. John’s A.M.E.) outdid the more conservative-looking churches of the neighboring congregations in both architectural variety and decorative daring and exuberance, signaling that architectural tastes, even within the prevailing Gothic revival style, were susceptible to swift and dramatic change. 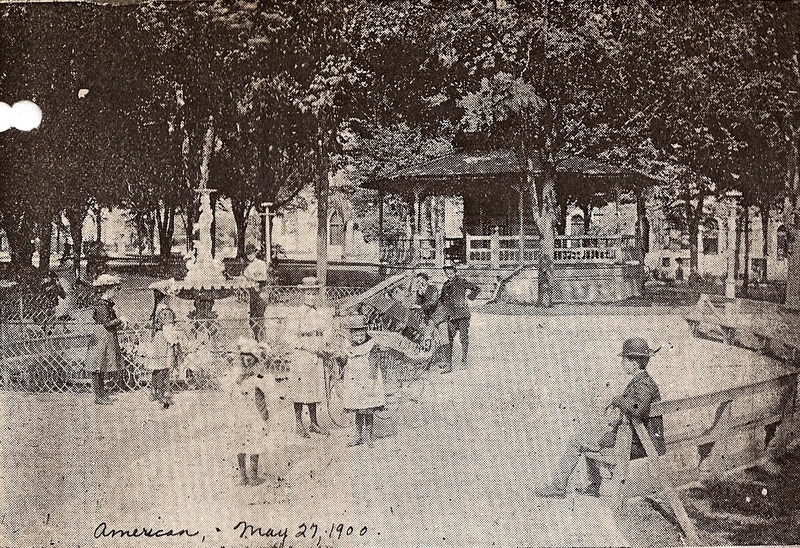 Lafayette Square changed dramatically between 1910 and 1930. Built-out by 1910 and starting to show its age, the Square could not compete with the new residential developments such as Ten Hills (begun 1909) and Hunting Ridge (1920s) that offered detached, single-family houses and all the modern amenities of the early twentieth century. 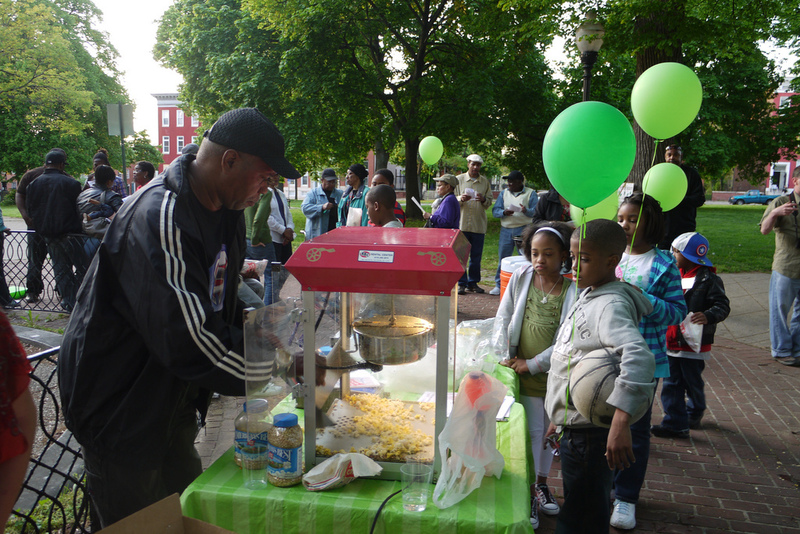 Between 1910 and 1930, all but two households on the Square had changed hands, and a new generation of residents had emerged, 95% of which African American, whose numbers and diverse backgrounds brought a renewed vitality to the Square. The Square’s new residents worked as maids, chauffeurs, cooks, and laborers, but also as dentists, physicians, attorneys, and schoolteachers. They benefited from close proximity to the neighborhood’s major commercial, retail, and entertainment districts, being just a few minutes’ walk from the shops and other attractions of Druid Hill and Pennsylvania Avenues. In the short time between 1928 and 1934, four African American congregations moved to Lafayette Square. Metropolitan led the charge with a ceremonial march from Orchard Street in 1928, followed by St. John’s A.M.E. in 1929 (from Lexington Street), St. James Episcopal in 1932 (from Park Avenue and Preston Street), and Emmanuel Christian Community in 1934 (from Calhoun). 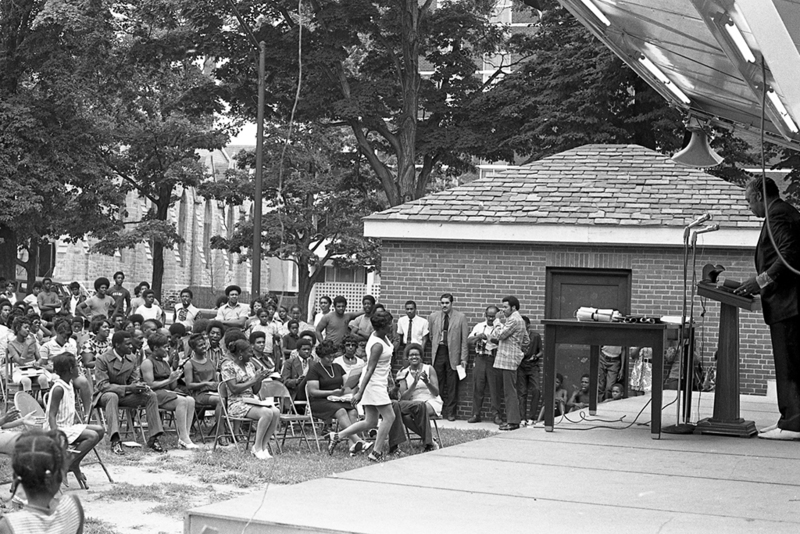 The spacious sanctuaries, the classrooms, and other amenities of the four grand churches suited the needs of these growing congregations, whose active ministries transformed Lafayette Square into a spiritual center for West Baltimore’s African American community. The old State Normal School, vacated in 1915 and later converted to school district offices, received a new lease on life in 1931 as the home of the George Washington Carver Vocational-Technical High School, the first school in Maryland to provide vocational training for African American students. “Lafayette Square,” Explore Baltimore Heritage, accessed April 19, 2019, https://explore.baltimoreheritage.org/items/show/8.